In the beginning, you called an airline or travel agent when you wanted to book a trip. But if you’ve done any traveling at all within the last 15 years, you’ve probably come across a fare aggregator or metasearch site. Hundreds of perfectly legitimate ones exist; you’ve undoubtedly heard of Expedia, Priceline and Hotwire, to name three. Does it matter which site you use, or are they all basically the same? These online travel agencies, or O.T.A.s, and search sites scrape data from other sources, reorganize it and present it to you, the user. The two proverbial 800-pound gorillas in the travel world are Expedia Inc. and the Priceline Group. Together, they have a hand in most of the major travel booking sites. 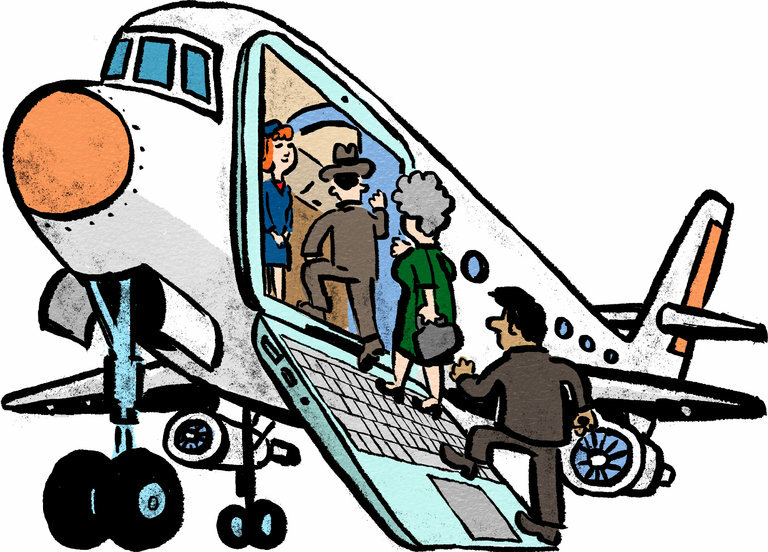 I ran through various scenarios — purchasing a flight, a hotel room and a flight, hotel and car package — with the aid of a sampling of those sites: Travelocity (owned by Expedia), Kayak (owned by Priceline) and the newish kid on the block, Hipmunk. I also searched directly with airline and hotel sites. I admit that I went into this informal study expecting prices and options to be more or less the same from site to site. Let’s just say I was surprised by how mistaken I was. Let’s highlight a few features of the sites before getting into the nitty-gritty of travel details. Travelocity offers some nice options for travelers, including a $50 credit and refund of the difference if you can find a cheaper price on a flight, rental car or cruise within 24 hours of booking. It also featured some surprisingly useful travel articles in its “Get Inspired” section, including write-ups on Spanish sparkling wines and ideas for family-friendly locales in Ireland. Kayak is more search engine than travel agent, and its focus seems to have shifted away from flights (more on that later): The site’s default search offering now involves hotels. It also allows you to connect, in most cases, directly to the service provider. If you search for a Hyatt hotel, Kayak will encourage you to book through Priceline, but will also send you to the Hyatt website. Some of its best features are its price predictor tool, which advises you to wait or pull the trigger on a purchase, and its alerts, which will track airfares and hotel prices over time; an email alert option will notify you about price changes and recommend that you buy or wait. Hipmunk incorporates many of Kayak’s features, including alerts, along with a welcome dose of humor (it rates flights in terms of “Agony” — a combination of price, number of stops and total travel time). It also searches Amtrak routes when applicable, and Airbnb listings when you conduct a hotel search. Its flight search interface can be slightly confusing (sometimes it’s hard to tell which airline you’re selecting), but its other benefits make it a viable option. Kayak’s lowest advertised flight was on Delta for $362, a notable difference. (Kayak also offers “hacker fares” — flying different legs of a round-trip flight on different airlines — but I couldn’t even find the flight that Travelocity offered me on Kayak.) Hipmunk’s lowest advertised flight was an all-Spirit flight from La Guardia to O’Hare and back for $372. Things got interesting when I searched on the airlines’ websites. The Delta flight Kayak offered me was the same price on the Delta site. With Spirit, though, things were a little wonky. The Travelocity flight that had one Delta leg and one Spirit leg cost just $269 if I booked the individual legs on the Delta and Spirit websites, respectively: saving $69. There was also a big difference with the Spirit flight Hipmunk offered: If booked directly on the Spirit site, the same flight cost $65 less. It’s important to note that Southwest and its system, which allows for many nonstop routes other airlines don’t offer, won’t show its prices on the major search sites; the airline notoriously disallows third parties seeking to monitor its fares. In this scenario, that meant I had to go to Southwest’s site to find a round-trip package for an impressive $296, which includes two checked bags and no change fees. Flights are travel sites’ bread and butter, right? Wrong. Hotels are where the money is. A 2013 Forbes article noted that an astounding 97 percent of Priceline’s revenue came from hotel bookings. Booking.com, which is owned by Priceline, is a big revenue driver and is able to do an enormous volume, as the company doesn’t act as the merchant of record. It simply connects guests with hotels and takes a fee. Let’s get back to our long weekend in Chicago: Hotel selection is a bit more subjective, as more criteria are involved. I searched for a room for two at a four-star property downtown. Travelocity’s first nonsponsored recommendation was a room with a king bed at the Hard Rock Hotel Chicago, a decent choice, for $149 per night. Kayak’s first suggestion was the Hyatt Regency Chicago (also a king room) for $179 per night. Hipmunk’s top result? The Palmer House (with only a double bed) for $184 per night. All three sites had the Hyatt room for $179. Travelocity had the same deal on the Palmer House, but Kayak shaved off a few bucks, offering the room at $180 per night. As for the Hard Rock Hotel, only Travelocity had the $149 rate; the other sites offered the room at $159. On their own respective sites, the Hyatt and Palmer House rates were the same as the aggregators’. At the Hard Rock Hotel’s site, though, the lowest rate was $169 — undercut by all three aggregator sites. A good strategy can also be to call hotels directly and ask them to match (or beat) rates that you find online. They won’t always oblige, but it doesn’t hurt to try. Let’s book the flight and hotel together and save some big money, shall we? I searched the same Chicago weekend on Travelocity, looking for the same flights and hotels as a package for two people. With taxes and fees, the total came to $1,207, saving … negative three dollars. That’s right, it was actually more expensive to buy this particular itinerary as a package instead of booking the flights and hotels separately. Hipmunk also offered a package with its preferred hotel, the Palmer House, for $1,310 for two people, saving $82. It’s worth noting, however, that the package included a JetBlue flight, not the lowest-priced Spirit flight that it advertised (which some may consider a plus). It’s also worth noting that to purchase the package Hipmunk directs you to Travelocity. As for Kayak, buying a package that featured its favored hotel, the Hyatt Regency Chicago, wasn’t even available as an option. It did advertise a package at the Palmer House for $1,574, however, a significant markup from Hipmunk’s offering. And while my searches are admittedly a tiny sample relative to Kayak’s vast offerings, I noticed another hiccup on the very next package I selected: the Hyatt Regency O’Hare, advertised at $1,092 total for two people. I clicked on the price and was redirected to JetBlue Vacations, which had the price at $1,306. That was probably an anomaly. (The very next Kayak package I clicked on actually ended up being cheaper than advertised.) But it was also a lesson learned. If you’re looking to save money, don’t take things at face value; results can vary greatly from site to site. Do your research and inquire directly with travel providers in addition to searching the big travel aggregators. They want your business, certainly, but promises of big savings don’t hold up in all cases.